Thread: Is BGA ALWAYS linked to low nitrates? @happyfins, Fascinating about the hardness observation! Kris, do you measure your TDS, gH etc? Do you normally use GH up? I am curious why your plant growth improved when using bore water. You must be Calcium deficient? Make sure you have enough Calcium and Mg for the plants. Not sure about the cyano however. You can see the complexity of the cyano issue by having a look at these. If you have anyone else in the area with tanks, you can compare notes etc also. No I’ve never measured TDS. I don’t own a tds meter (just ordered one online though along with powdered chemiclean and a 55w UV for my goldfish ponds. I never use any gh booster. The bore water (and tap water for those in town) is very hard 16 degrees hardness or thereabouts, kh also very high. Due in large part to the fact that Vanuatu is a volcanic archipelago which is geologically relatively young and the whole island is basically a coral atol - with only a few minor pockets of volcanic rock.... Ph around 8.3. Definitely not calcium deficiency - I spend half my life cleaning calcium buildup out of shower heads and tap filters. Last edited by Kris; 18-12-18 at 08:28 AM. I see. Still can be Mg deficient in that case. Make sure you add Mg (for plants). re article. It just goes to show how complex the area of algae tend to be. Cyano in aquariums have not been studied formally AFAIK. Blue green algae will grow in soft or hard water. In Perth we have very soft water (GH less than 50ppm) and a pH above 8.0. We get BGA in that. We also get it in rivers that are 100% rainwater based and have no limestone to buffer the pH or GH. It also grows in brackish rivers that have a lot of mineral content and some salt. Water hardness (mineral content) doesn't make any difference to where it grows. There is a possibility something has contaminated your water supply. 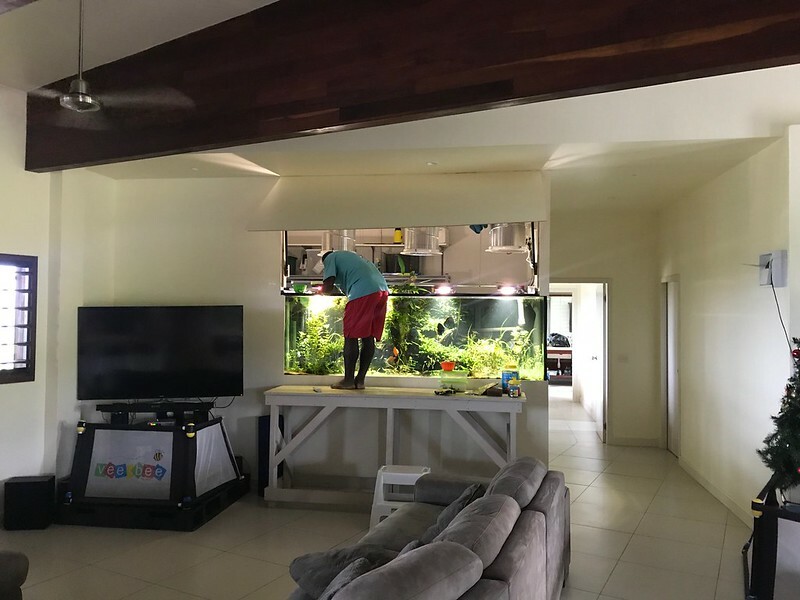 If the tank was running fine for a couple of years without any issues and then the BGA suddenly appeared, maybe there is excess nutrients in the water supply that never use to be there. Perhaps check the water supply for everything you can and see if it has changed. I doubt UV radiation will affect BGA because it is spreading across the tank and other surfaces. For it to be affected by a UV steriliser you would need it to be floating around the water and pumped through the UV unit. BGA is a photosynthetic bacteria that has been around for millions of years. It can live in dark conditions and feed off nutrients, or it can photosynthesise and get nutrients like a plant does. Once it gets going it produces a slime over it that protects it from the external conditions and even if you remove the slime, there is usually a few bacteria left behind to regrow. This makes it harder to get rid of than most other things. Last edited by Colin_T; 18-12-18 at 10:10 AM. 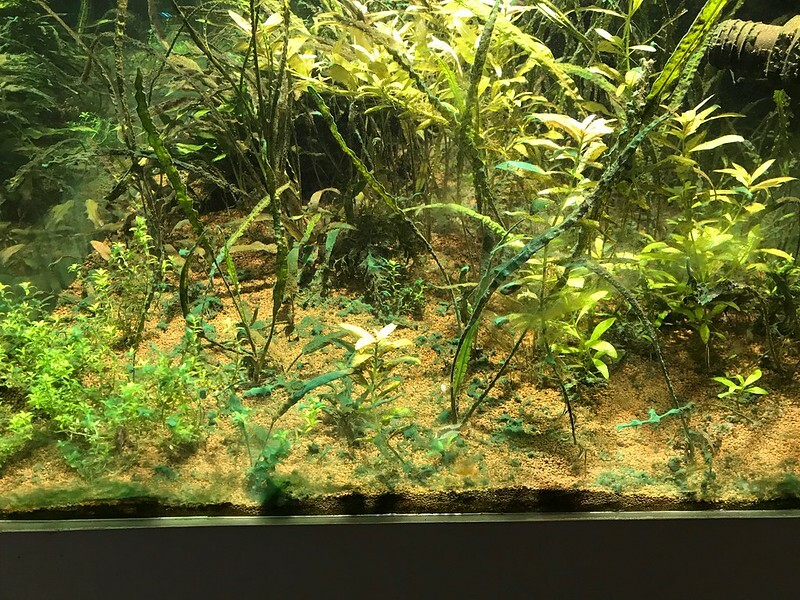 My feeling that there is low flow in the lowest areas of the tank?